Get daily live trainings, email lessons, Q & A & community from the private Facebook Group. Today's show is the raw, unedited audio of our live training from Day 2 of our challenge of analyzing rental property for cash flow. In this training, Emily breaks down and explains each of the numbers you need to include when running an analysis on a property. 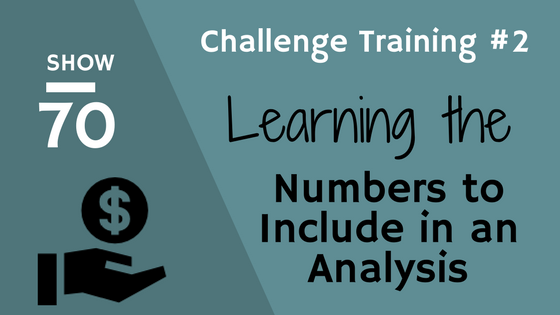 She breaks down what numbers you'll need for a quick analysis and a more detailed one. Even more, she walks through looking at a listing and the mindset & questions that can arise based off of information that is listed on a listing. Love this podcast. In my experience property analysis is absolutely crucial to any deal and something that is brushed over far too quickly by a large number of new investors. Thanks for sharing! Thanks Allison! Glad this is helpful and I appreciate the kind words!